Locals have have a number of opportunities to celebrate Valentine’s Day (or not) down the shore and in Philadelphia this weekend. 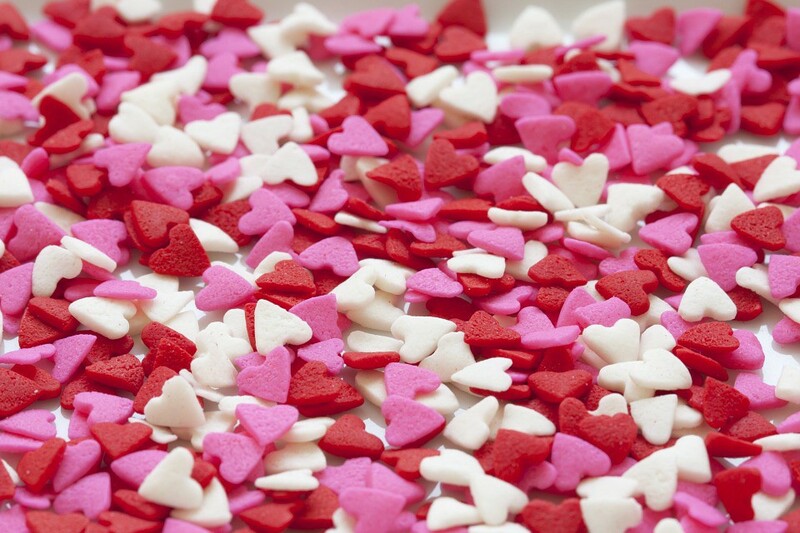 Residents will have a chance to celebrate Valentine’s Day early this weekend with a number of Valentine’s themed events taking place across the region. Check out a short list of events, Valentine’s and otherwise, taking place on Saturday and Sunday. Watch as the Vogelson branch of the Camden County Library in Voorhees makes things fly, spin, move, and soar while telling you a series of stories. Experience the science of action and reactions with hands-on experiments that will have you laughing, learning and having fun. This takes place Saturday, Feb. 11 at 3:30 and is for children of all ages. Enjoy a weekend of high school basketball at Cherry Hill High School East. The 2017 Cherry Hill East Invitational will take place on Saturday and Sunday at the school’s DiBart Gym. Nearly 20 high school boys basketball teams from across South Jersey will play in this weekend’s event. The tournament will also feature a showdown between crosstown rivals Cherry Hill East and Cherry Hill West on Saturday at 2 p.m. Visit http://www.olympicconference.org/g5-bin/client.cgi?G5genie=349&school_id=6 for a full schedule of games. Residents can check out the Cherry Hill Public Library’s latest art gallery and meet the artist on Sunday from 2 to 4 p.m. This month, the library is featuring the work of local artist Maria Sammartino. The event is free and open to the public. Visit www.chplnj.org for more information. Enjoy “Valentine Family Fun” at the Evesham Library on Sunday, Feb. 12 starting at 2 p.m. Locals can drop by anytime between 2 to 4 p.m. for some fun Valentine activities perfect for the whole family. Visitors can get creative and build an animal out of hearts, play a game, or try one of one of the library’s other stations. This event is best suited for ages 3 and up and all supplies provided. No registration required. Learn more at http://www.bcls.lib.nj.us/calendar/valentine-family-fun. On Sunday, Cumberland County College will be hosting “The Rainbow Fish (A Family Time event)” at 3 p.m. at the college’s Luciano Theatre at the Guaracini Fine and Performing Arts Center. ArtsPower has turned Marcus Pfister’s bestselling book into a musical about the value of sharing true friendship with others. Tickets are $9 per person. Cumberland County College is located at 3322 College Drive in Vineland. For more information, visit http://www.cccnj.edu/theatre/rainbow-fish-family-time-event. Vintage guitarist, vocalist and storyteller Marty Grosz returns to the Tri-State Jazz Society with Hot Winds for a performance at Haddonfield United Methodist Church, 29 Warwick Road, on Sunday at 2 p.m. General admission is $20. First-time attendees can pay $10 at the door. Full-time students with ID and children can attend for free. For more information, visit www.tristatejazz.org or call (856) 720–0232. Couples can renew their vows at the Absecon Lighthouse on Saturday at 6 p.m. in Atlantic City. The lighthouse is hosting its annual “Evening of Romance and Renewal” where a group vow renewal will take place. After the renewal, there will be champagne toast, music and dancing. Couples have a chance to win a future overnight stay and dinner at the Golden Nugget. A minimum $40 donation includes the ceremony, tower climb, DJ, dancing and toast. The lighthouse is located at 31 South Rhode Island Avenue. To register, call (609) 449–1360. People of all ages can enjoy a special Valentine’s High Tea at The Flanders Hotel in Ocean City on Sunday from 2 to 4 p.m. There will be tea, savories, sandwiches, sweet delights and music. Each guest will receive a special gift. The cost is $40 per person. The hotel is located at 719 East 11th Street in Ocean City. Visit www.theflandershotel.com for more information. Winter and Valentine’s Day will come together on Saturday in the Chestnut Hill section of Philadelphia with Valentines on Ice. Ice sculptures will be on display along Germantown Avenue all throughout the day. From noon to 2 p.m., there will be an appearance by Queen Elsa, free s’mores and hot chocolate, and ice carving at Laurel Hill Gardens, located at 8125 Germantown Avenue. The event is free and open to the public. For more information, visit https://chestnuthillpa.com. Enjoy a unique Valentine’s Day experience this weekend at the eighth annual Love Never Dies Valentine’s Ghost Tour. The event takes place at the Powel House, 244 S. 3rd St. in Philadelphia. The 75-minute candlelight walking tour includes stops at haunted burial grounds, historic homes and a tour inside the Powel House in Society Hill. Tours will take place on Saturday and Sunday at 7 p.m. The cost is $22 per person, with a portion of the proceeds benefiting PhilaLandmarks. Visit www.ghosttour.com for more information.